Since 1992, Cetec Marine have grown to be the specialists you can trust to survey your yacht and small craft up to 150ft in length. Our resident marine surveyor has over 50 years of experience in the marine industry so you can count on his wealth of experience in all regards of marine surveying and inspections. From our central location in Egham, Surrey, we are able to offer our services to clients in 100 mile's radius. Reaching from Bristol to the west and Suffolk to the east, as well as encompassing most of the South Coast of England. If required, we can travel further afield to accommodate your needs. 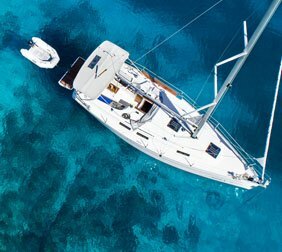 We provide a wide variety of marine surveys and inspection services for yachts and small crafts, including insurance surveys and pre-purchase surveys. Buying a boat is no slight investment, so you'd want to ensure that the information is as transparent as possible. For more information of our range of services, please contact us via 01784 456872. The International Institute of Marine Surveyors was established in the 1990s with only one purpose: to promote the professionalism, recognition and training of marine surveyors worldwide. They are the UK's largest independent, non-political professional body for marine surveyors. Our chief consultant is proud to have been a member of IIMS for many years. This means when you work with us, you can have the maximum confidence and peace of mind that all surveys and inspections carried out will adhere to IIMS guidelines. It's an indication of our commitment and dedication to our work. You can count on us to provide nothing but the best quality service and the most accurate results possible. Insurance Surveys: It's commonly referred to as a Condition Report or a Condition & Value Report. This is usually required by insurance companies before agreeing on an insurance premium. The survey determines the condition of the boat and whether it's river (or sea) worthy. Pre-purchase Surveys: As the name suggests, this survey is carried out prior to the commitment to purchase. It's not a legal requirement to conduct this survey but heavily recommended, for all types and ages of craft. The surveyor will carry out a comprehensive inspection of the boat, including the domestic/mechanical systems. A sea trial is advisable as this will show the engine working under load. Boat Valuation: This survey is closely related to the Condition & Value Report, often commissioned by the seller of a craft. The surveyor will inspect all of the equipment on board, all domestic/mechanical systems and the boat's overall condition to estimate a fair market value. Damage Inspections: This is required if you have had a collision, received damage from theft or severe weather conditions or damage from lifting, slipping or haulage of the vessel. 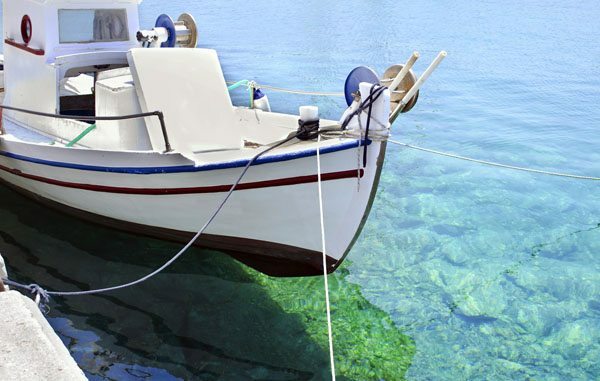 This can be carried out as part of an insurance claim or commissioned by the boat owner for minor damages. The surveyor will highlight any damages identified and cost estimates of repair, as well as recommending remedies. 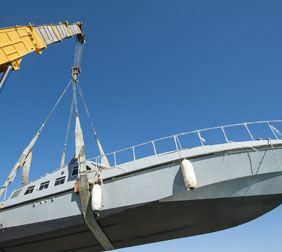 Structural Inspections: A hull and structural inspection is often carried out before/after a boat has been re-fitted, or a vessel has undergone repairs for damages. This survey is sometimes asked for by insurance companies. This inspection simply tests the reliability of the boat's structure to ensure it's safe to be back in the water. It's a more limited version of a Condition Report. Do I Need a Boat Survey? 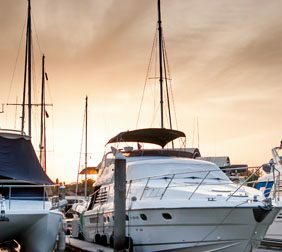 Whether you're an experienced boat owner who have better-than-most knowledge of boats, or looking to buy your very first, you may come across this question in any point of boat ownership. Unless you are very confident in your knowledge of boat construction and maintenance, it is wise to employ a marine surveyor to inspect and report on the boat prior to completing the purchase. Our principal surveyor has over 40 years experience in the marine industry, having worked in multiple positions including boat repair technician. His parents also owned a boat yard on the Great Ouse. Where he first started his career in the boating industry. Our range of comprehensive surveys are carried out in great detail, with photographic evidence to support all written reports. Being a family-run business, you can expect a friendly, personal service from the start. Over the years we have conducted surveys throughout the country (and Europe). We have built an excellent reputation for our honest and reliable reports. If you would like more information, or to arrange a marine survey tailored to your requirements, please call 01784 456872 to speak to one of our friendly, knowledgeable team members. Cetec Marine offer a comprehensive boat inspection service for boats up to 150ft in length. 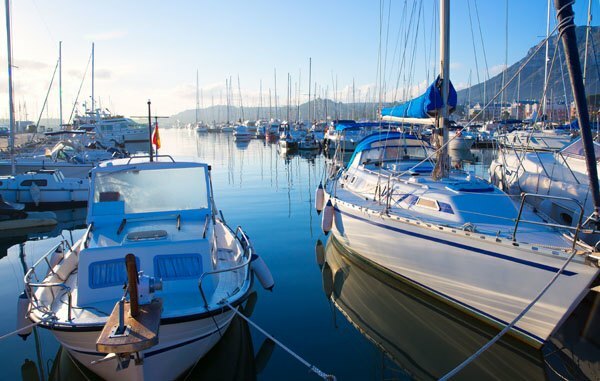 We can inspect a boat at any stage of ownership, from pre-purchase to post-accident damage inspections. We continuously invest in the latest equipment and training to ensure that we are compliant with the most up-to-date technology and legislation. Our principal surveyor is experienced with boats of all materials including timber, steel and GRP (fibreglass). Over the years we have inspected and surveyed boats of all types including barges, classic timber craft, river cruisers, house boats and small yachts. Whether you have a 20 year old barge in need of a comprehensive condition report, or a vessel which has been re-fitted and requires a structural inspection, you can count on Cetec Marine to provide you with the most accurate, unbiased report. Our boat inspection services are available within 50 miles of Egham, Surrey with no travelling fees. However, if required, we can travel to almost anywhere in Europe, or in the UK, either on the coastline or along our vast waterway network (travelling fees to be arranged). Producing a detailed report with photographic evidence, which the client can use to negotiate the purchase price. Boat Valuations are sometimes conducted as part of the insurance survey, particularly when negotiating insurance premiums. The valuation survey helps the insurer to establish the fair market value of the boat and thus the risk of insuring and the suitable premium. 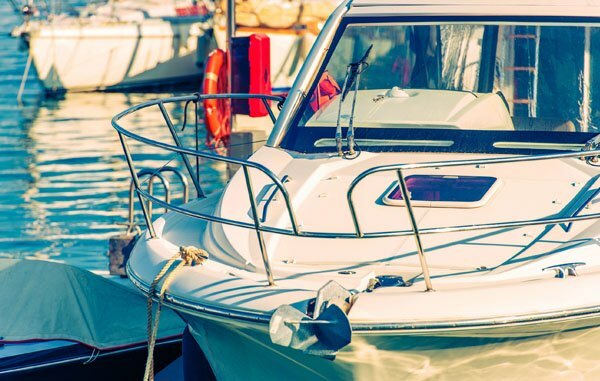 As its sole purpose is to determine the value of the craft, a boat valuation can be used to assist any financial disputes, such as arranging a marine mortgage or loan. This can even extend to divorce settlements. During a boat valuation, Cetec Marine will carefully consider all aspects of the boat, including any additional installations, the age, model, usage and overall condition. We will research the current market value of sister models and provide an unbiased, fair market price. Regardless of your knowledge in boat construction and maintenance, you should always employ an experienced surveyor such as Cetec Marine to carry out a pre-purchase survey before committing to a purchase. Buying a boat is an investment and you want to ensure it's in the best condition possible. Call us today to discuss your requirement for a pre purchase survey. An experienced boat owner will often not see the need for a professional survey, as they can be time-consuming and more often than not, the owner will feel confident in their knowledge in identifying defects. While this may be true in some cases, a marine surveyor is trained to identify any potential hazards and component failures before they become a defect. Cetec Marine are equipped with the latest surveying equipment and years of professional knowledge to offer you an unbiased and comprehensive service. While an eagle-eyed owner may spot a broken window, the surveyor could detect the early stages of osmosis on a GRP vessel, thinning of the plating of a steel vessel or rotten timbers of a timber craft which will eventually compromise the safety and value of the vessel.